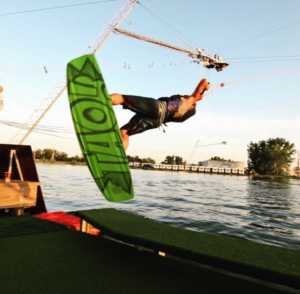 Tell Us a Little About Yourself: Wakeboarding is my life. I worked at a wake park in Ohio and then moved to Canandaigua to help build Roseland Wake Park. The owner of Roseland met me in Cincinnati and then stalked me for a few months and followed me to Florida to recruit me to Roseland. I admired his determination. How Did You Get Started: Kyle made me do it. He hired me before even teaching me how to wakeboard. Tell Us a Little About Yourself: I am a relaxed guy with a wild side. I am constantly joking and trying to find the fun, artistic side of life. Fun Facts: I can eat fire and I also sometimes blow glass for a hobby. 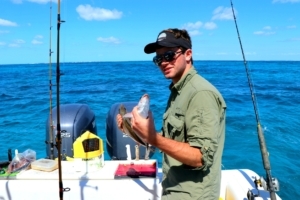 How Did You Get Started: I learned how to wakeboard in college on our Waterski Team. I rode cable a few times before Kyle convinced me to move to New York to work at the park and wakeboard every day. Tell Us a Little About Yourself: I am a fun-loving girl always looking for an adventure. I like to wakeboard, surf, snowboard, longboard, paint, relax in my hammock and hang out with my friends and family. I am very optimistic and can always find the good in life. Fun Facts: I was born in the wrong state and era. I have always felt that I belonged near the ocean and Ohio does not have an ocean (in case you have never looked at a map). I love classic rock and am not a huge fan of technology. Tell Us a Little About Yourself: I’ve loved being in and around water my entire life. From the time I was three I loved swimming and then I went into competitive swimming. After that I discovered sports like wakeboarding, kiteboarding and surfing. Tell Us a Little About Yourself: My favorite things to do are wakeboarding (obviously), skateboarding and snowboarding. My favorite band is Pink Floyd and my favorite color is purple. Fun Facts: I was an extra in the Avengers movie. How Did You Get Started: I started wakeboarding behind a boat at 10 years old off and on, but then really started wakeboarding in 2017 when I was 19. I got started because of my uncle, cousins and Kyle Dickman. Tell Us a Little About Yourself: I am a sophomore in college at Mercyhurst. I love to wakeboard, wake surf, snowboard, play basketball, play golf and spend time with family and friends. Fun Facts: I love Doritos. I eat peanut butter from the jar. The first trick I landed on a wakeboard was a tantrum. My favorite drink is milk. Favorite Trick: Just about any trick looks really cool or is fun to try. I’m a newbie so successfully landing anything is a welcomed accomplishment! Tell Us a Little About Yourself: I’m a student at SUNY College of Environmental Science with a focus in renewable energy. Being a water person, I’m also studying the marine sciences and hoping to get scuba certified in the near future. I grew up on Canandaigua Lake, which fostered my love for both the environment and water sports alike. From day one I’ve either been riding a jet ski or getting tossed around on a tube behind the boat. Roseland adds to the fun by providing another way to do something I love on the water! Fun Facts: I’ve been boxing for over four years and have fought in two exhibitions, both of which happened to be against my best friend. I also have a plant collection, which includes a terrarium, spice plants and a variety of succulents. 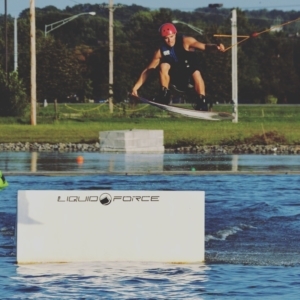 How Did You Get Started: I started wakeboarding because I snowboard and my family wanted to find a similar summer sport that we could do together. We found Roseland Wake Park and we waited, watched and counted down the days to opening day. The grand opening is one of my favorite memories. I had so much fun meeting everyone and I won a wake skate in the big air competition! Tell Us a Little About Yourself: I am 11 years old and I love to be outside playing. I love board sports: wakeboarding, snowboarding and skateboarding. I like being with my friends and everyone at Roseland Wake Park. I like helping people who are learning to wakeboard too. Fun Facts: I travel 4 hours one way to be with all my friends at Roseland Wake Park. I love having fun with my friends at the cable park, learning new tricks and spending my summers at Roseland Wake Park. 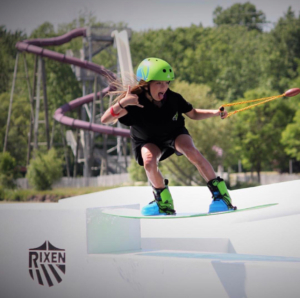 How Did You Get Started: We were at the waterpark and walked over with our friends to see what was happening at the new Wake Park. We got to try wakeboarding so the staff could practice for their opening day. We loved it! 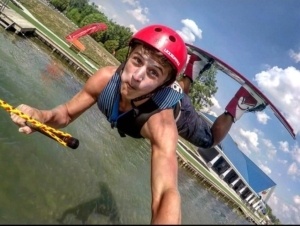 We have come to the Wake Park almost every day (that is open) since then. How Did You Get Started: I’ve spent most of my life on the water, from fishing to paddleboarding, to waterskiing and wakeboarding. I like anything on the water. Favorite Trick: I don’t ride as much so I don’t necessarily have a favorite trick, I just love being out there on the water. Fun Facts: I have a twin named Hobie who works here as well. How Many Years Wakeboarding: On/off 14 years. I started cable wakeboarding 3 years ago. 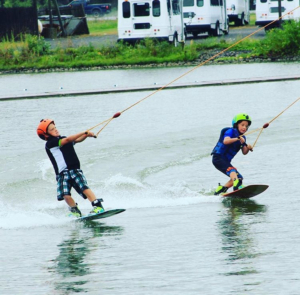 How Did You Get Started: I learned how to wakeboard behind a boat when I was 8. My dad is/was a watersports coach who taught me everything I know! Tell Us a Little About Yourself: I grew up on Keuka Lake always in the water and on the boat. 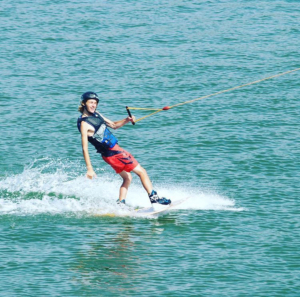 Skills like wakeboarding made it easier to learn other board sports like surfing, wakesurfing, longboarding and snowboarding. Fun Facts: I learned to ski when I was 4 years old.